We’re currently at the 2018 London Bike Show, where several brands are using the opportunity to unveil some brand new, never-seen-before products. 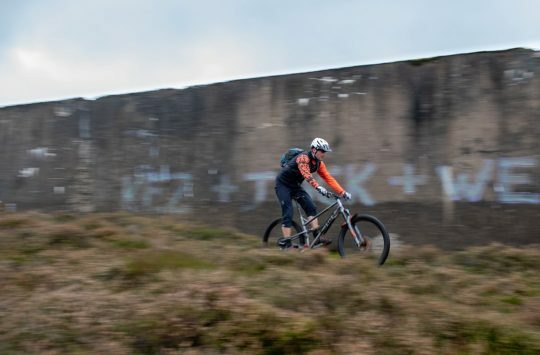 One of those brands is the Peak District’s own Cotic Bikes, which has brought a very beautiful, and very special Rocket full suspension mountain bike to exhibit to the public this weekend. Warning: you will be drooling on your keyboard. 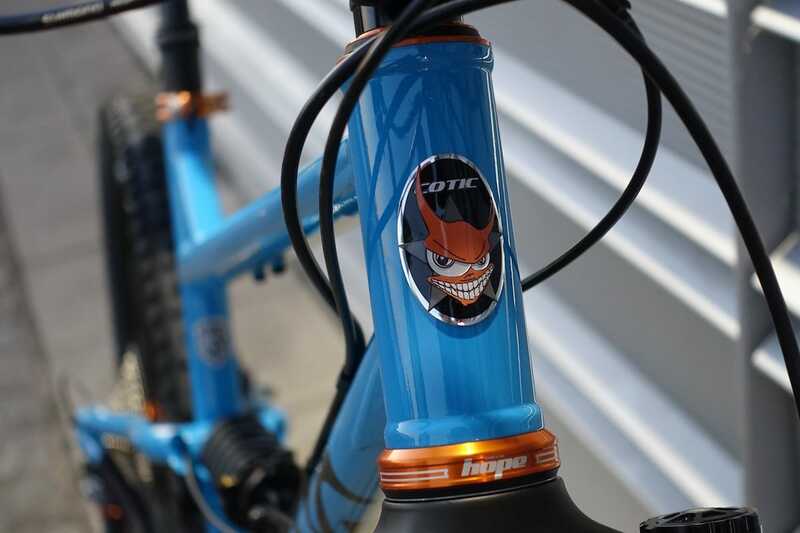 Cotic thinks you’ll go even faster on this Rocket. It isn’t just any Rocket – this is the brand new, third generation Rocket, and it’s fresh for 2018. 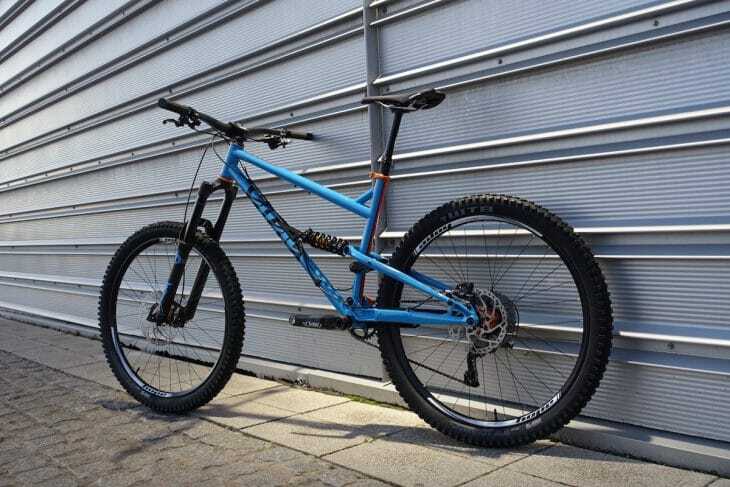 The first generation Rocket was introduced in 2012 as Cotic’s long travel, (mostly) steel-framed full suspension all mountain bike. The Rocket has since spawned a 29in version (that’s the RocketMAX), before the standard Rocket evolved with the addition of 27.5in wheels. What we’ve got here is the standard Rocket. 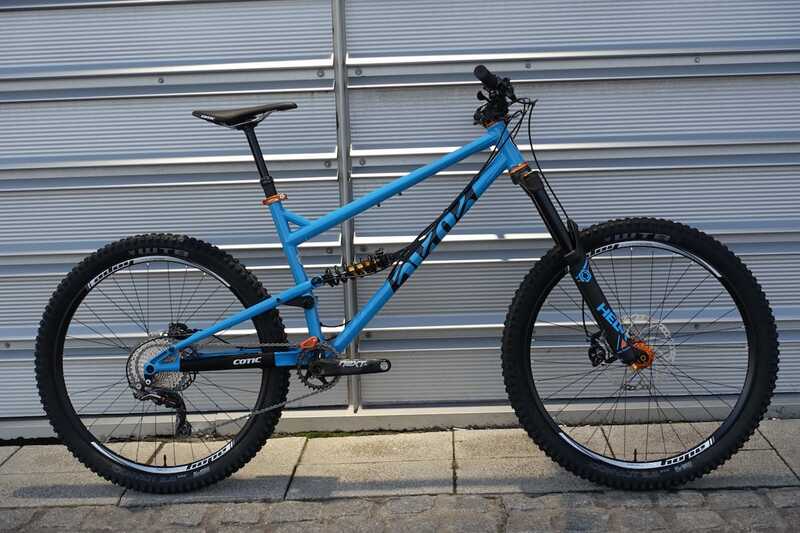 It’s got 157mm of rear travel, will take 160-170mm fork travel, and is optimised around 27.5in wheels. 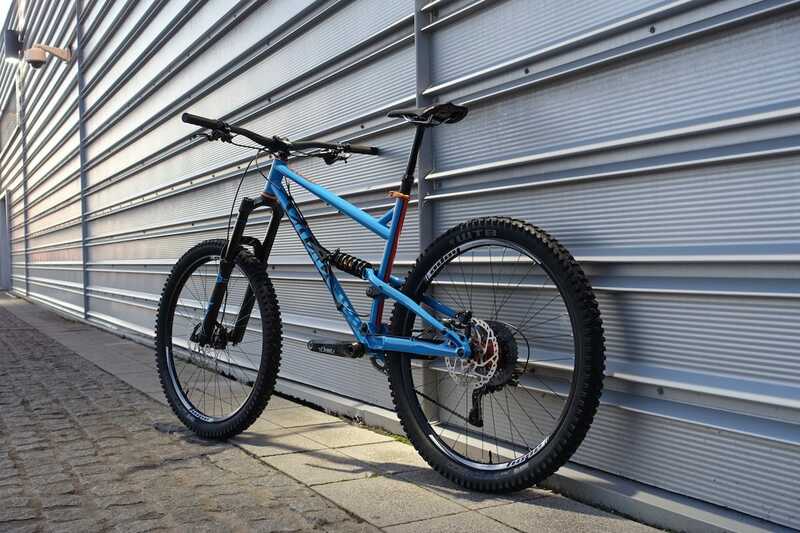 There are loads of updates including the option to run up to 2.6in wide tyres, as well as all-new geometry that Cotic has dubbed ‘Longshot’. 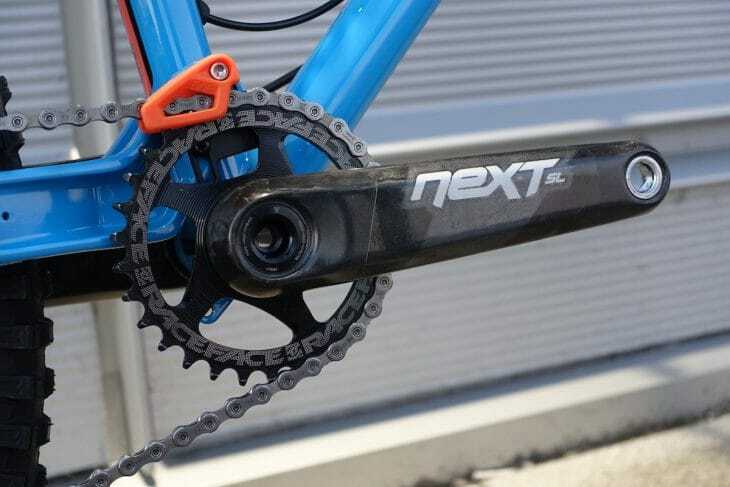 Longshot geometry has already been rolled out with the new BFe hardtail, the new Soul hardtail, and the latest FlareMAX, so it would appear that Cotic is looking to adopt the concept through its entire mountain bike lineup. We’ll let you speculate from there. The highly popular Rocket has been redesigned for 2018. No need to upsize your frame anymore – the new Rocket is loooooong! The fundamentals of the Rocket are still there; there’s a Reynolds 853 mainframe with huge diameter steel tubes, steel seatstays, and a beefy alloy chainstay. 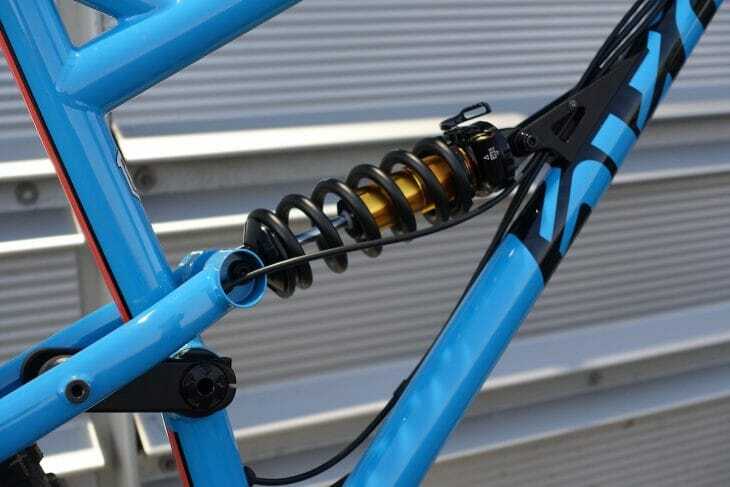 The Droplink suspension platform also remains, but just like the new 2018 FlareMAX that Cotic released earlier this month, the new Rocket adopts several improvements with a new alloy swing link, bigger and wider pivot assemblies, and a captured nut on the rear seatstay pivot. The biggest change however, is the geometry. ‘Longer, slacker and lower’ is being bandied around a lot lately, but for Cotic, its ‘Longshot’ geometry is something that has been in the testing in the real world (and on the racetrack) for over two years now. Fundamentally, it’s all about increasing the front centre length by using longer reach measurements. How long? Well, a Medium frame has a 458mm reach, and a Large comes with a 481mm reach. That’s huge! You know what’s even huge-erer? 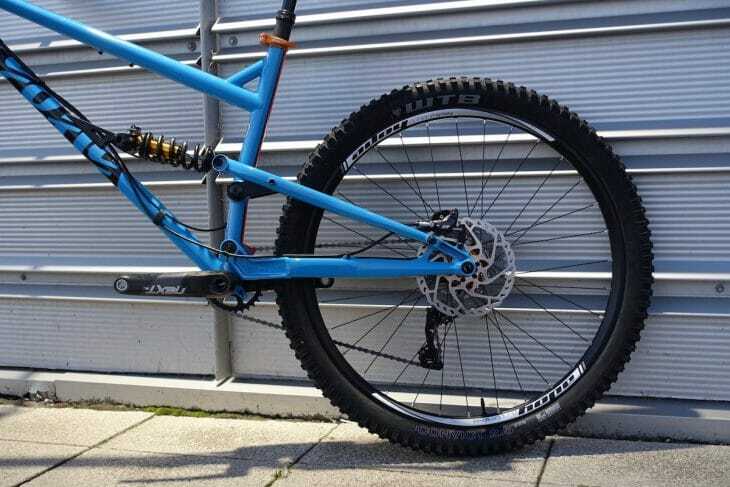 The 510mm reach on the X-Large frame size – holy top tube Batman! 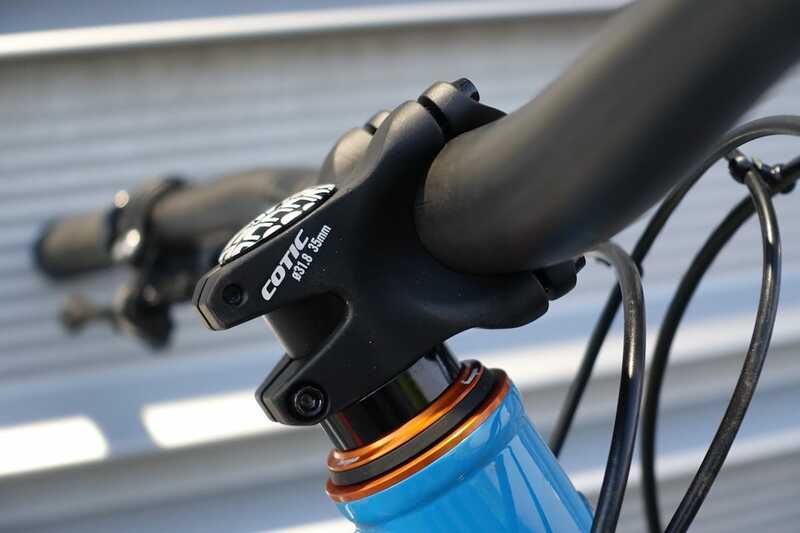 Cotic’s Longshot geometry is optimised around a 35-50mm stem length. According to Cotic, you can’t just make a bike uber-long and expect it to ride amazing. The other big component is cockpit setup, which in the case of the Rocket, is optimised around a 35-50mm stem length. 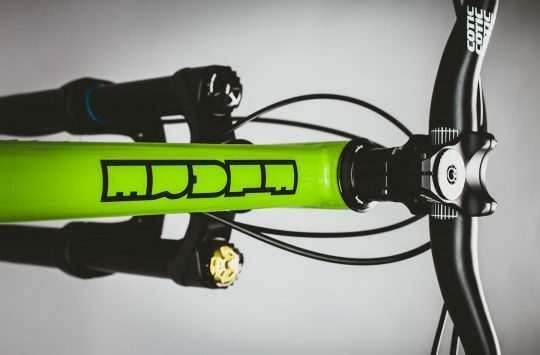 This is in a similar vein to Mondraker’s original Forward Geometry ethos, which is increasingly becoming less of a fad, and more of the expected standard for contemporary frame geometry. 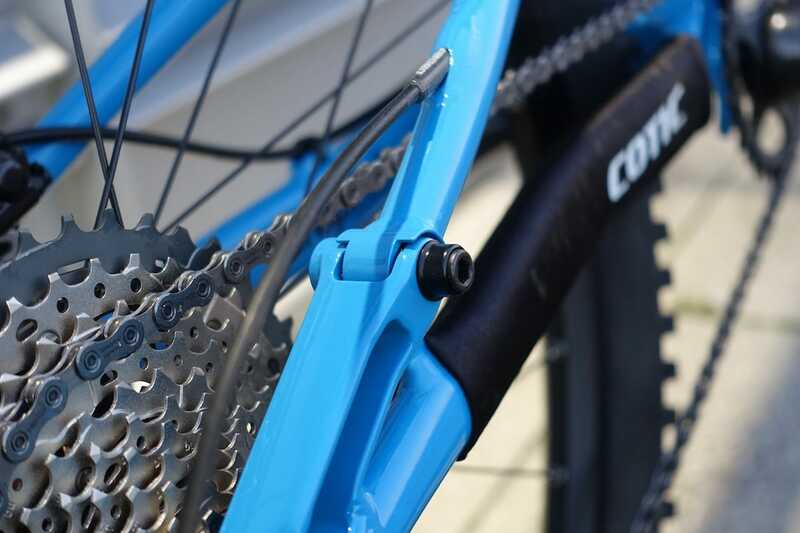 The new Cotic Rocket will take a 160-170mm travel fork. Coil or air spring compatible. The new alloy swing link is really tidy. 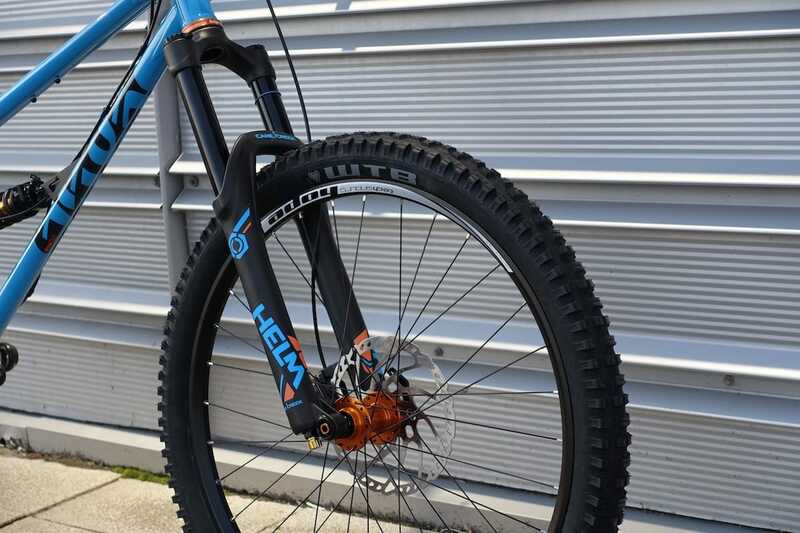 Clearance for 27.5×2.6in wide tyres. Designed in Sheffield, made in Taiwan. Integrated One Up chain guide bolts straight onto the main pivot. 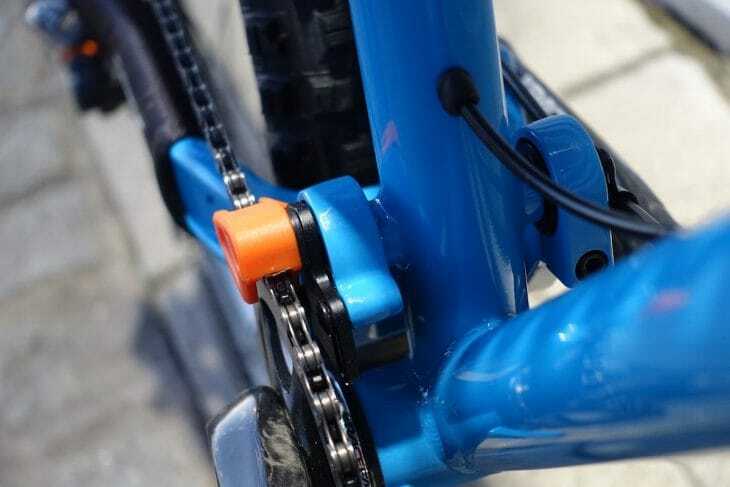 There’s a standard threaded bottom bracket and ISCG 05 chainguide tabs. And it’s 1x specific of course. Internal seatstay cable routing for the rear mech. The seatstay pivot has been tidied up with captured hardware. 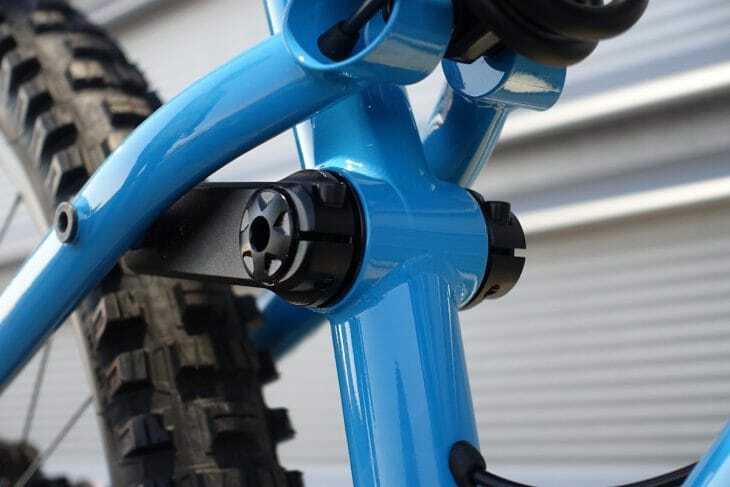 The single pivot droplink suspension design makes use of huge 15mm axles for the main pivot and seat tube pivot. 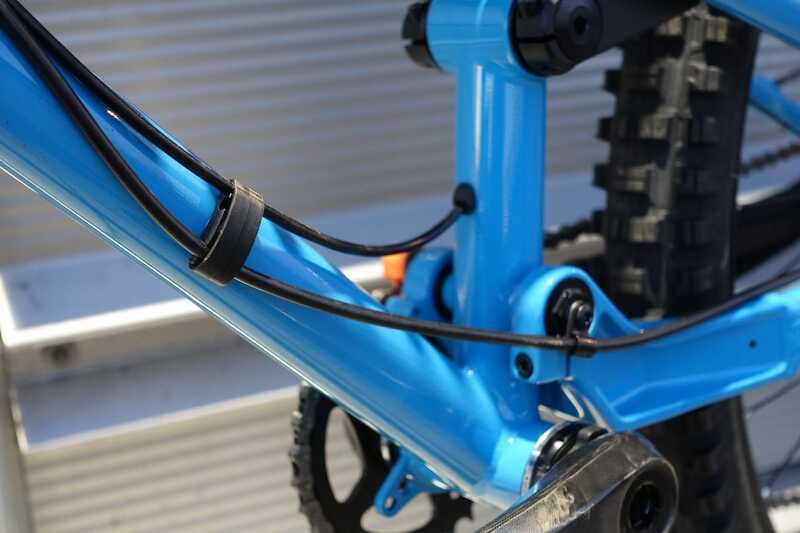 Captured rear brake hose on the main pivot – tidy! Aside from a short section for the stealth dropper post, all cables run externally. 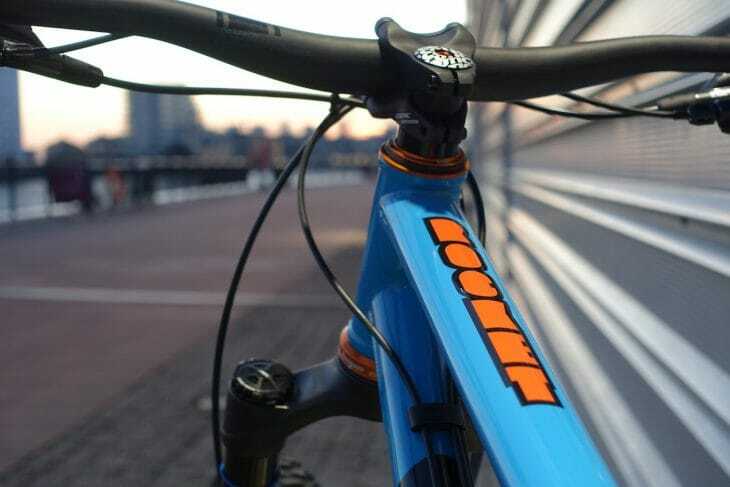 The new Cotic Rocket in the dying London sunset. For those of you who want to know more about this big blue beast, make sure you tune in to the Singletrack Facebook page around midday today, as we get Mr Cotic himself, Cy Turner, on camera to chat about the new Rocket and its Longshot geometry. Got some questions? Submit them in the comments section below, and we’ll ask Cy on Live video for you! Going into its 3rd generation, the Rocket is a race winning Enduro weapon. 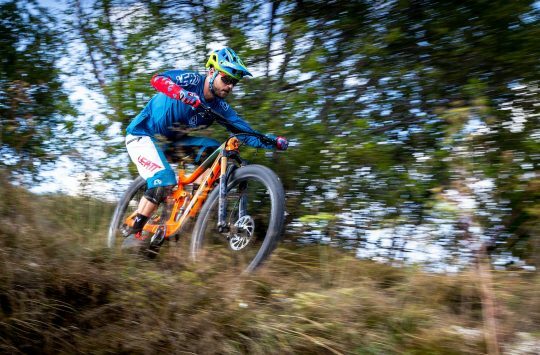 The Cotic Racing team have been closely involved in the development, and won the PMBA Enduro Series Championship titles in 2016 and 2017 aboard their Rockets. Away from the race track it’s wild and fast and just so much fun, designed to get you down the rowdiest trails with an infectious grin on your face. Progressive new Longshot geometry keeps the bike stable through the rough stuff, and planted in the corners. 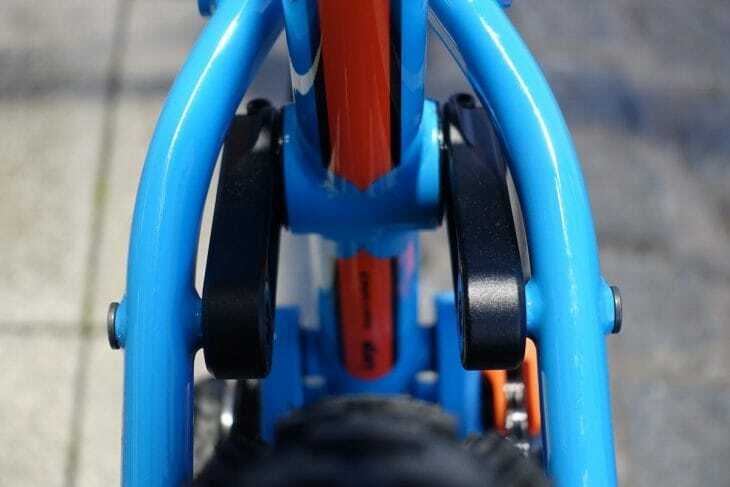 The super short stem combine with the optimised head angle and frame length make you feel like your hands are directly connected to the front tyre. The Rocket has a swaggering, “let’s do this” attitude that you can’t help but love. 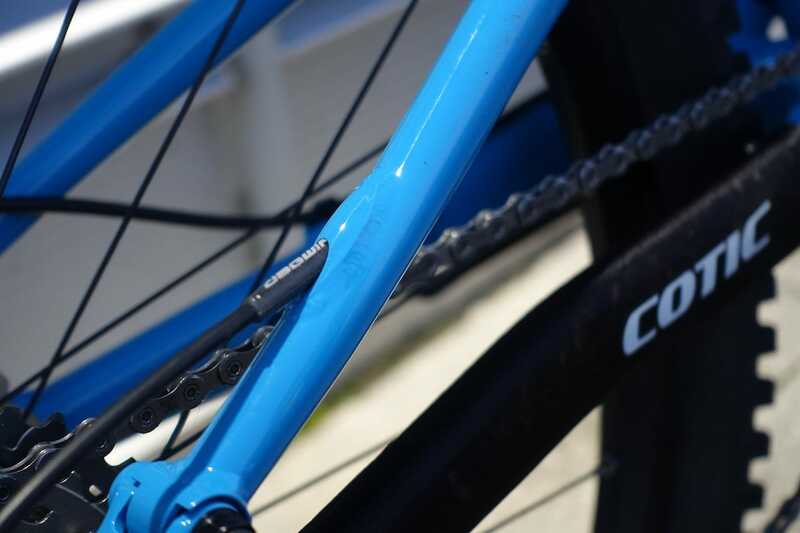 As with all Cotic bikes, the frames’ steel construction is compliant and naturally ground moulding. The Rocket uses Reynolds 853 super strong steel, and includes our custom ride tuned Ovalform top tube which helps to deliver sublime trail damping and that signature Cotic feel; lively and fun, yet stable and controlled. Cotic Droplink suspension is supportive and progressive, keeping the Rockets 160mm travel feeling lively and interactive, with grip to spare on the descents, support and traction on the climbs. Whether you’re tackling big mountain adventures, laps of the bikepark or the toughest enduro stage, the Rocket will look after you and keep you screaming for more. The best part is, it will happily skip up the toughest of climbs; honed on the tough hills of our native Peak District, the Rocketwill get you back up to the top for run after run. The Rocket is designed around the latest 27.5 x 2.6″ wide trail tyres, with clearance to spare even with this monster rubber installed. The new and improved Boost148 rear end brings more stiffness, clearance and style to this iconic bike. The dedicated 1x frame is designed with an integrated One Up chainguide, as well as ISCG05 lower mounts and the neat Syntace 12mm bolt through axle. Simple, solid, secure. Looks like 2018 is going to be a huge year for Cotic Bikes. 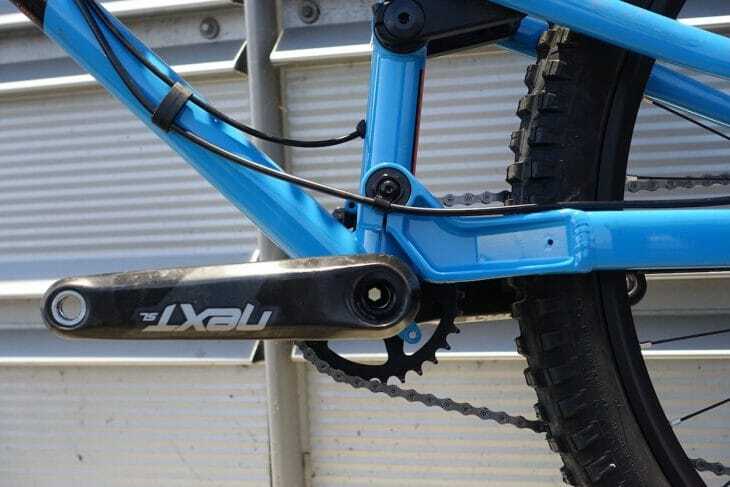 SPOTTED: Is SRAM Eagle Going Wireless?